condition, he intentionally infected innocent ladies with the deadly virus. Identities of both ladies, whose idenriid cannot be disclosed for legal reasons and were referred to as Miss A and Miss B throughout the hearing, quickly fell ill and tests showed Osei had passed the virus onto each of them. 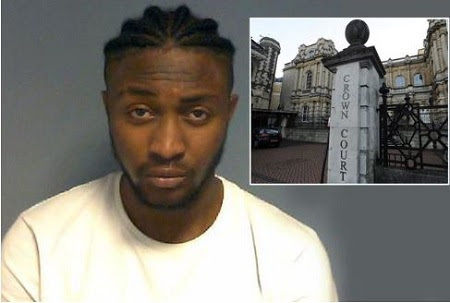 A Ghanaian, Japhet Osei, who deliberately infected two girlfriends with HIV was jailed for five years in the United Kingdom. The 23-year-old slept with two women after being diagnosed as HIV positive and refused any help from doctors or to take any drugs to suppress the virus. Osei wooed and bedded two teenagers without telling them about his condition, a judge was told. He did not use any protection with a 17-year-old girl and encouraged a cautious second victim into having s*x without protection because she was his girlfriend. Osei even lied that a s*xual health clinic check-up had found he was clean and showed her a text message to prove it, the court heard. However, he was keeping the secret that he was not only HIV positive but that he had a particularly high viral count, which meant it was more likely he would infect partners through unprecedented s*x. She added that she had read the “harrowing ordeal” each lady had subsequently gone through physically and mentally since diagnosis, via their victim impact statements. She also ordered that Osei should be the subject of a S*xual Harm Prevention Order where he is not permitted to have s*x with any woman without telling her about his HIV status.